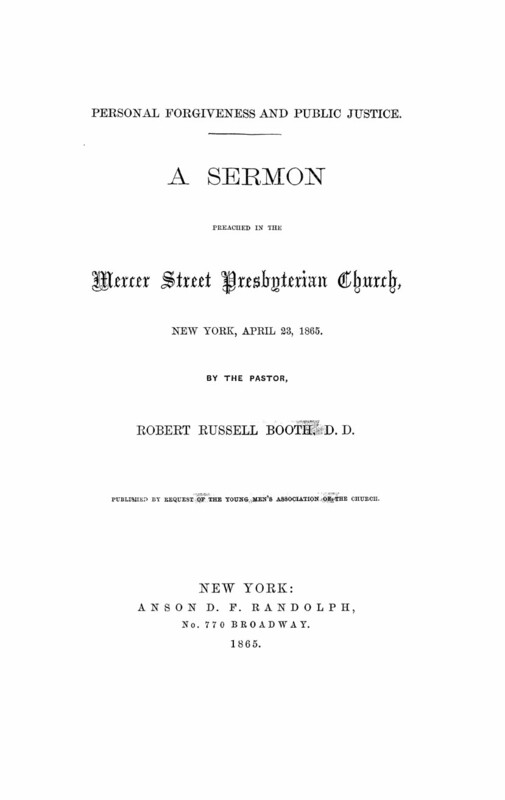 A Sermon Preached in the Mercer Street Presbyterian Church, New York, April 23, 1865. Published by Request of the Young Men's Association of the Church. New York: Anson D. F. Randolph, No. 770 Broadway. 1865.